The following systems are designed to work beneath the surface level of physical ailments and imbalances at the pre-manifestation level in the auric field to heal, alleviate, release, and in some cases eradicate the problem so that total healing can occur if that is in order with your karmic agreement. Just treating a physical problem at surface level is doing no more than papering over the cracks, for true healing to take place it needs to be treated on all levels; emotionally, mentally, spiritually as well as physically. These systems will work alongside and support any current medical treatment you are receiving in a complimentary manner. These systems should never be used instead of prescribed treatment from your health care provider. If you begin to feel a significant improvement in your condition do not decrease or stop your medication without trained supervision. Agrimony Shakti Level1 & 2 - £25 Founder: Mariah Windsong. Agrimony Relevant Informationand Insight together with Agrimony Imprint Revelation and Clearance removes imprints of those who have come before so that their influence no longer affects you or your living space. If there are any children near you suffering from any of the problems described here just make a pray to the angels who can help with their specific problem. In Angel Reiki, You can also give children a semi-precious stone that is infused with your praying or dress a child in a particular colour, which emanates the vibrations that are most appropriate for tackling a specific problem. Bone Care -£7.50 Founder: Mariah Windsong. The Optimal Bone Density Field and Ideal Calcium concentration and the other functions in this system do not require any prerequisites. The connective tissue service is for people who are comfortable with being worked on by unseen helpers and who are already reiki masters. That one is much more comprehensive. This Bone Care system is good for any sincere seeker. Feels great and is easy to use. Bone Karma Cleanse :Activate with intention and allow a few minutes to go by for these Divine energies to cleanse you of any Karma that affects your bones adversely. Structural Alignment: Activate with intention while you are fully reclined and have already spent a few minutes relaxing. Structural Alignment is designed to align the energies of your physical structure to your Highest Divine Blueprint. Digestive Care Energy System - £25 Founder: Mariah Windsong. Digestive Care™ energy system is designed to assist you and your body to have an efficient and comfortable digestive system. Digestion of the information resulting from situations in your life, and your positioning to them is another factor in your digestive system health and comfort. Digestive Care™ contains a Digestive Shakti™ who brings assistance targeted at specific areas and purposes and these energy functions: Aloe Vera Healer™, Villi Healing Session™, and Gut Instinct Trust Ray. Digestive Care™ energy session helps you to digest whatever is going on in your life at this time. It helps you to properly take in what you need to and eliminate the remainder, energetically speaking. People who are very empathic can respond negatively to even good healthy food if it was prepared by someone who was emitting anger or frustration energy. These adverse energy influences can be reduced by “clearing” your food with intention always before eating it. 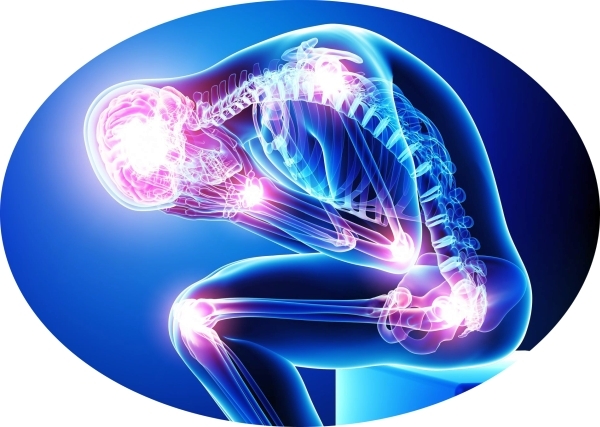 Emotional Osteoporosis Healing Reiki-£7.50 Founder: Linda Colibert. This system connects you to your higher self and to Universal Source Energy. The system works to remove the blocks from negative emotions, and to clear out any negative emotions. It helps you to discover what emotions and situations are at the root cause of osteoporosis. With this disease, the bones are thinning and becoming weaker and brittle. The positive healing works to speed recovery and strengthen your bones. Good Sleep Empowerment - £10 Founder: Stephanie Brail. The Good Sleep Empowerment is a very simple way to use energy healing to help improve sleep and overcome insomnia. The energy works via intention and does not require hands-on healing. If you are familiar with the Meridian Flushes then this energy works in a similar manner. A good night's sleep is vitally important to health and well-being. Unfortunately, life stresses and anxieties often keep us from getting the sleep we need. The Good Sleep Empowerment helps to calm the mind and prepare the body for a full, deep, refreshing sleep. Infection Inhibitor Field - £15 Founder Mariah Windsong. The following is from Mariah’s manual: “Infection Inhibitor Field is a spherical energy field that you can activate with your intention, and step into, thus placing your body inside the energy field. The Infection Inhibitor Field inhibits the replications of the harmful bacteria or viruses which cause infection. This helps slow down the spread of infection and gives your body a better opportunity to heal faster!” *Only a Reiki or Seichim Master Teacher can pass on an Infection Inhibitor Field attunement to other people. Lung Care© Level 1 is a synergy of: Elecampane Essence, Mullein Essence and Optimal Blood Oxygen Concentration function. Lung Care© Level 2 brings you the Bloodroot Deva Empowerment and authorizes you to pass Lung Care attunements on to other people if you are a Reiki or Seichim Master Teacher. Medication By-Product Remover -£15 Founder: Mariah Windsong Couture. Medication By-Product Remover helps your body to quickly shift the by-products from toxic into water soluble ones that can easily be excreted. When prescribed medications are used as instructed they can improve people’s lives and help our body in many ways. Most medications need to be transformed before a body can excrete them. This is because the characteristics of medications which enable them to be absorbed deep into your body’s cells to do their job are the same characteristics which make them unlikely to leave the cells and go away. Bodies don’t want a build-up of excess medication and so change its chemical composition to make it easier to excrete. This change goes through several phases. Some of these phases are chemically unstable or toxic and can cause cellular damage. During this first phase of transformation the chemical substance is likely to become more chemically reactive and maybe even toxic. This is what is referred to by Medication By-product. The substance was a purposeful medication. Now, in this phase of preparing it to be removed from the body it is more dangerous to you. It can combine with other chemical compounds in your body and cause problems. This energy system is designed to foster your body’s ability to move chemical compounds, be they medication, pollutants or other drugs from phase one into phase two as swiftly as possible. Then your body will have a better opportunity to remove the substance from your body instead of it possibly being stored in a toxic form. Hot flashes - Palpitations – Depression – Anxiety – Irritability - Mood swings - Memory problems - Lack of concentration - Sleep disturbances - Sense of loss - Back pain - Joint pain or muscle pain - Decreased libido. This energy can be used during an application of Reiki or separately. It consists of 3 levels which you can use for self treatment or to work with on others. You can do a daily self-treatment, to relieve the symptoms of menopause, or increase your connection with this energy. After receiving the first level attunement, you need to activate this energy everyday with a daily self-treatment, before moving onto the second level. A week is recommended between levels. You cannot work on clients with the first level, only after receiving all 3 levels attunements. Oxygen Attunement - £7.50 Founder: Ole Gabrielsen.Create Oxygen Antennas. Reverse "chaotic" energy structures. Balance and harmonise. Tools made with the Oxygen energy are great for "treating" water, as it has the ability to reverse the energy of unstructured water (like tap water) into a more harmonic state. These energies can be used in healing just replace Reiki with Oxygen. You can also create energy tools like those described in the Tachyon manual from Ole; just replace the word Tachyon with Oxygen. Information is given on how to create Oxygen Antennas. Those who have had the Tachyon Reiki, Tachyon and Source systems will love this! Quit Smoking Reiki - £15 Founder: Linda Colibert. The Quit Smoking Reiki system helps with quitting smoking and also brings powerful healing energies to heal the damage done by smoking. This is actually a decision you have to make for yourself, it definitely will assist you and help you overcome this addiction if you choose to quit smoking. The energies strengthen your will power and help you to increase your determination to overcome the desire to smoke. The healing begins immediately and speeds up the process of clearing the lungs and body of the chemicals and nicotine stored from smoking. This system also helps you keep your mind focused on positive things, and helps you let go of the need to continue harming yourself through smoking. As for healing, the Quit Smoking Reiki will help to cleanse and clear all of the toxins in your system or you may use it to help others. Smoking causes not only toxins to build up in your system and be stored there, it also weakens your immune system, affects that amount of oxygen you take in, and causes diseases. Recovery Reiki - £15 Founder: Linda Colibert. Recovery Reiki connects to the unlimited healing energies of the Universal Creative Source Energy. This energy helps to heal and restore your personal energies. Anytime you have gone through changes, or face challenges, during times of loss, or trauma, there will be emotional and mental and even physical damage to your energy fields and personal power. Working with the Recovery Reiki symbol quickly brings in healing and will help to speed up recovery for illness, treatments, loss, trauma that you or others you love, may have experienced. NEW Rejuvenation Regeneration Reiki £10 Founder: Linda Colibert Rejuvenation Regeneration Reiki connects you to the Source Energy and your Higher Self for healing, recharging, regeneration of your body, mind, and spirit. This system works in the physical realm to help with physical illness and aging. It also helps mental healing by working to regeneration and rejuvenation your mind and mental health. This system works to help rejuvenate and lift your spirit in a way that is very closely connected to the Source Energy. By being strongly connected to Source Energy in this way, you are able to not only heal all kinds of issues, but also consciously feel healthy, happy, and filled with love. Spinal Care - £7.50 Founder: Mariah Windsong. Spinal Care uses cosmic laws and the belief that the spark and movement of Divinity is in all of nature here on Earth. Divinity (Eternal Sacred Source) is intelligent and provides action only for our highest joyful good. Spinal Care is Divinity in action to bring the spiritual energies and gifts of Ruby, Shallaki Boswellia Serrata and Pearl deep within your aura, energy bodies and physical body to assist you in as much as your personality, higher self and soul will allow. Vocal Cord Care - £20Founder: Mariah Windsong. Vocal Cord Care attends to your vocal folds flexibility and to the health of the mucus which lubricates them so that your voice is clear and strong. This energy system provides healing for any emotional issues that have limited your vocal range and your ability to speak your mind. It brings you the intelligence of Eternal Sacred Source to support, heal and enhance your vocal folds. It provides both maintenance energies as well as an intensive session. Silence Empowerment: Silence balances vocalisation. From within silence a person gains wisdom. Silence can be a strength. When silence is utilised with intention it can draw unto itself energy and help you focus so that your future vocalisations will be much stronger. This is referring to both the sound quality of your voice and how people hear and understand what you say or sing. It is also wise to consciously keep quiet at times when you may have kept talking. Silence after speaking brings you respect. It gives the listener time to contemplate what you just said. Vocal Range Enhancement: is an energy function that is intended to increase your physical vocal folds’ ability to emit sounds of a wider range. You will likely be able to intonate a wider range of low and high tones the more often you activate this energy function. Smoothing Elixir: brings comfort and ease to sore vocal folds by providing a smoothing effect. The mucosal liquid that lubricates your vocal folds (vocal cords) can get still or scant in quantity. Learn The Shankh Mudra: this has a special affinity with the Solar Plexus Chakra; hence it affects the nervous system, providing a beneficial effect on the internal and external health. It helps improve the digestive system. It is especially effective in the treatment of speech defects like stammering and stuttering, and also has a deep effect on the tonal quality of the voice and helps to make it attractive. Waterfall Healing Reiki - £20 Founder: Linda Colibert. Waterfall Healing Reiki is a healing system that works on all levels, physical, emotional and spiritual. It can also be used to clear, remove illness, pain, and can be used to help shrink, remove and reverse various tumors, cancers, disease, etc. Linda suggests that you keep in mind that everyone is different and that results may vary from person to person. Waterfall Reiki can be helpful in working with these difficult health issues, including things like crystals that form in the body. You are always advised to see your physician use whatever Reiki system you may feel comfortable with using along with any medical treatments your physician may recommend. There are two basic techniques for using Waterfall Healing Reiki and they are very simple and easy to use. There are no prerequisites for this healing modality. It is simple and easy to use. Anyone can do this. You can use Waterfall Healing Reiki to help heal yourself and others, including animals and plants, etc. Womb Care™ Attunement - £15 Founder: Mariah Windsong. Womb Care™ is a comprehensive energy system that brings you the CARE of all responsive eternal beings whose specialty it is to attend to the healing and wholeness of your body’s reproductive system. When you activate the energy of Womb Care™, if there are any spiritual energies of your various reproductive organs and body parts that have vacated you at any time, for any reason, these are offered healing. They are then guided to return fully unto you, in exactly the correct places within your body and energy fields. Womb Care™ brings you a stronger concentration of that inner womanly life power that naturally resides within our lower abdomen area. There are many women who have disempowered for one reason or another. Many of these women suffer from various menstrual or sexual problems. When your natural womanly life power either returns to you or is simply reinforced, you shine and are confident and sure of your decisions in all areas of your life. Wound Healer Reiki 1-3 -£45 Founder: Mariah Windsong. Wound Healer Reiki 1 is the first in a trilogy. This form of reiki helps with physical and emotional wounds. It will also heal tears and holes in your etheric bodies and is wonderful for people who are new to Reiki as well as those who are already teachers. Simply ask for healing of your energy bodies and lay still as you are worked on by this compassionate, intelligent energy. Wound Healer Reiki’s unique energy calibration makes it perfect for everyone who wants to feel whole and healthy in every area of their being. Wound Healer Reiki level 1 is designed for emotional, physical and etheric body wounds. Physical wounds heal quicker with this energy. Wound Healer Reiki is under the authority of your Higher Self and Soul, together with what your personality allows to be healed at this time. If this is your first time to receive any Reiki attunement, you can use this energy for yourself or for people who are in the same room with you. In subsequent levels of Wound Healer Reiki, you will receive attunements and training that will give you the ability to send Wound Healer Reiki and indeed any Reiki, long distance. You will also receive healing through time and space for any previous incarnations and other aspects of your soul. If you are a Reiki level 2 in another reiki modality or a Reiki Master Teacher, then you can confidently send Wound Healer Reiki over a distance to persons, animals, plants, birds, fish, amphibians, reptiles or rocks now. Attunement to Wound Healer Reiki – Level 2 provides you with the ability to receive healing for wounds that occurred to any part of who you are in other times and places, including previous incarnations. There are times when injuries received in sleep dream time are noticed by our bodies as ‘real’ and we may feel tenderness in the corresponding body area of our physicality here. Some people awaken and wonder how they ‘hurt themselves’ in the night or why there is a mysterious ache that persists despite using their regular healing modality. Clear, concise intentions are very important, together with a healing modality that is designed to be effective no matter where or when the wound occurred In Wound Healer Reiki 2 people really step into their own, for they have the tool and know how to be extremely effective. Whether physically present with your client or not, Reiki symbols give authority to access healing regardless of when the wound occurred. Often times a message will rise up as a layer of the wound is ready for healing. There are times when, until the message is heard, healing may be rejected, for the lesson may not have been fully learned. Simply the hearing of the message, with the encouragement of Wound Healer Reiki, the energy holding the wound open, will quickly release, given permission by the Soul that it is now appropriate to accept healing. Wound Healer Reiki – Level 3 is the final in this trilogy and it brings an upgrade of the energies, more strength and a broader band of healing. After you receive your Wound Healer Reiki 3 attunement, you will find it easy to send these energies long distance for locations on Earth, Trees, Rocks, Crystals and other Mineral Beings, Ocean Life, Wild Animals, Birds and others life here on this planet. Once you have your attunement for Wound Healer Reiki 3 you will notice more and more opportunities to heal in Service to Source. The Source of Eternal Life, Love and Light will beckon you to assist with healing of the various life forms here on Earth. Anti Radiation Reiki: This energetic system is a great gift sent to us directly from Spirit. The main focus of this system is that it’s a full clearing of any nuclear-radiation contamination from the human body, animals, plants, water, air, food etc It’s a really simple to use yet powerful and affective system. It doesn’t require any symbols, visualisation or specific ability, it is enough the simple intent to send healing energy. It’s also possible to charge water to pass its energies to flow in a different way. You can start to use this great energy immediately after your activation is completed. Anti-Inflammatory Energy: Lynda Ward has created a system to help reduce swelling, thus alleviating the pain and discomfort caused by the i.e. swollen knee/ankle etc. This system is pure energetic connection with no instructions so previous knowledge of energy healing is essential. Bone Lotion Reiki: This soft soothing energy helps to relive pain, and may aid in reducing inflammation making it ideal for anyone suffering from bone or joint related problems. Biological Aura Balance Attunement: We know that biological electric fields surround us. They respond to our environment. We call this system our “aura”. Peaceful places and fresh air and trees seem to support and mend an aura. Lightworkers have been taught how to meditate and relax and visualize light in an effort to keep healthy. What if we are missing the obvious? Just as our physical body has an immune system of tiny defenders, what if our aura has its own helpers? Use this energy to discover how they can help you. Brain Layers Reiki: Brain Layers Reiki is a system channelled from the astrals. It is to enhance our capacity to retain knowledge, to have a good memory, and good healing powers. There are three layers of the brain that if activated can make us super human beings, and help us to do things which we have forgotten over time, or never used before to our advantage. The 3 layers are: Reptilian Centre - Mammalian Inner layer - Outer Neo-Cortex. In the Brain Layers Reiki these 3 centres are given more energy, and also more energy is given at the Solar Plexus Chakra where there is also a Brain which becomes activated making you a better healer, and giving you stronger protection. In activating the other 3 layers of the brain we get many beneficial effects, but they will need time to be fully functional. The energies will start working towards it after you get the attunement and in approximately 1 month you will start to see the remarkable results - maybe even before that, but the slower the process the better it is for you. Chronic Pain Relief Energy: Lynda Ward has created a system to be used for a wide variety of health conditions where there is chronic pain involved. Health problems such as: Ehlers Danlos Syndrome, Slipped/Herniated/Ruptured Disk, Fibromyalgia, Arthritis etc. This system was created 'to give instant relief from Chronic Pain'. This system is pure energetic connection with no instructions so previous knowledge of energy healing is essential. Clearview Energy: Clear View is a most effective energy for healing vision problems and treating almost all eye diseases. It can be used for self-healing or healing others by intention or hands on healing. The patient always receives the correct amount of healing energy for them, no matter how severe or insignificant the ailment may be. Remember that the energy will always flow to where it is needed – even if the cause of that vision or eye problem is not originating in the eye area. Dental Shakti System: This system is designed to help maintain good dental health. It is composed of three attunements. It is composed of three attunements. The first attunement is called “Dental Shakti” and it is for general cleaning and strengthening. The second attunement is called “Deep Dental Shakti”, it goes deeper into the less physical origins of dental issues. And the third is “Comfortably Numb” is used only for pain. DNA Reiki: DNA Healing Reiki is a very simple system, consisting of one symbol, a DNA Helix. It is meant to improve physical health by fixing any errors in a person's DNA or spiritual (energetic) DNA. This energy is intended to work especially well for those with chronic or degenerative illnesses such as Chronic Fatigue Syndrome, Fibromyalgia, MS, and others. You can also use this energy to work on other health issues or to improve general health and well-being. The idea is that degenerative, chronic illnesses, which are notoriously hard to cure using energy healing, are caused by an error or errors in the person's energetic blueprint (spiritual DNA). These errors can then be manifested and worsened in the physical body by contamination of the energetic system through an assault of negative energy on a person, or via a systematic draining of a person's life force energy due to psychic vampirism. Gerbera Daisy Quintessence: The Daisy flower has significant usage in the medical arena as an anodyne, antispasmodic and antitussive. It has also been used to treat cancer and treat digestive imbalances as an emollient, expectorant and Laxative. Various specialists also use the same flower in tonics as an ophthalmic and purgative Daisies have an ancient history of being used as a domestic remedy for a numerous ills. They have been enlisted as a traditional wound herb and have been prescribed to treat delicate and listless children. The fresh or dried flowering heads are normally used in the treatment of rheumatism, arthritis, liver and kidney disorders, as a blood purifier, etc. When used on bruised wounds or any type of open wounds, daisy works wonders as a cure Chewing Daisy leaves is said to cure mouth ulcers Not only this, Daisies have gained popularity as a well known remedy of breast cancers The flowers and leaves are normally used fresh in decoctions, ointments and poultices As a homeopathic remedy, and commercial treatment, Daisies have wide applications and endless usage. We recommend only using this flower in its energetic sense; if you wish to use it physically please seek professional advice first. Healing Protecting Layer for the Eyes: This is an energy system helping to protect and repair damage from the negative exposure to modern technology. Healerite Empowerment: Healerite has a revitalizing quality going deep into all the cells of the body. An effective way to use Healerite is to place it on the energy meridians as it has the ability to increase “chi, or life force. On an emotional level Healerite helps to calm nerves. It is a heart chakra stone which brings states of joy, expansiveness, generosity, intimacy and love. It helps to heal old emotional wounds, even those carried over from past lives. Inter-dimensional Medical Team Reiki: The Inter-dimensional Medical Team is a team of Eternal Light Beings who have many areas of expertise. They will provide a comprehensive session of healing and inter-dimensional synergy. We as Light workers are accepting higher light frequencies. Our new or ‘remembered’ skills and abilities are activating. New ways for our body to interact with the worlds around us come ‘online’. Sometimes there are electrical, electromagnetic or gravitational signals from the higher dimensions that arrive to us here to assist our ethereal and light bodies’ activation. M M & C Attunement: 'M M & C' is also known as M.E./M.S./Crohn's Disease. This system was created to alleviate the symptoms associated with M.E., M.S. and Crohn's Disease. Sufferers like the founder of this system can see how debilitating they can be. Hopefully with the help of this attunement, the symptoms can be alleviated for other sufferers. Anyone can call this in/use system but to attune others you do need to be a Reiki Master/Teacher Level. Medicine Buddha Energy Empowerment:Medicine Buddha Empowerment is a powerful blessing for healing, dispelling sickness and for awakening the innate wisdom that lies within every individual. Mother of God Protection and Healing Ray: This ray helps in many aspects of life and health. The energy is of a bluish colour, pleasant and enveloping. The ray works throughout all the energetic body, especially problem areas of the body feel this energy. Octagon Star Tetra Energy Attunement: The Octagon Star Tetra Energy is a higher frequency energy combination of the 4 elements of nature; Earth, Wind, Water and Fire. This kind of energy is used for all aspects of elimination, working on the eliminative organs (digestive system, kidneys, liver, skin and lungs). It also has a powerful effect on micro-organisms (bacteria, viruses etc). The Octagon Star Tetra Energy also helps to eliminate residue of past inoculations, chemicals etc. This energy also has the effect of seemingly re-wiring your neurons and neuro pathways to allow for greater levels of love, mental and emotional stability as well as aids in faster physical healing from wounds. Pain Management Empowerment: This is an easy and simple form to work with and call in at any day or time to use. This form was channelled in to be used with chronic and severe pain issues, such as Lupus, Chronic Fatigue, Fibromyalgia and many other issues concerning chronic back pain, joint pain, pain from surgeries and much more. This energy, once you have been attuned, and called upon can be used to give relief to the pain within a very short amount of time, and to help with underlying issues contributing to your pain. Pale Green Muscovite Empowerment: This beautiful stone is simply a milky-green form of mica, the mineral that adds sparkles to Aventurine quartz. It has chromium atoms that colour it a gentle green, the colour of some glacier lakes. It is useful for healers because it gives the wisdom to step back and see if our efforts will actually help a situation. Sometimes people need to solve issues by themselves to learn the lesson. It also soothes physical injuries, balances hot and cold energy, deflects any negativity in a subtle way, and works well with nature spirits. Respiratory Healing System: Channeled by Marcel Molenaar. Respiratory Healing System For the purpose of clearing the lungs and entire head sinuses (Paranasal, Maxillary, Frontal, Ethmoid, and Sphenoid), extending to other parts of the respiratory system, and strengthening the flow of energy through the breath. The crown chakra and lungs are opened and healed through color, light and energy, which are circulated through a 3-step healing process. This system works in 3 parts, either individually received or requested all at once. The Higher Self administers each part when the previous part is complete. Seasalt Energy Empowerment: Seasalt as an irritant-balmy and anti-inflammatory effect. That's why it is often used to ease or solve problems with skin like neurodermatitis, eczema, pimples and dry sensitive skin, and even respiration problems like asthama. On an energetic level it has nearly the same effect of a cleaning and clearing and it 'pulls out' negative energies. Sleepeze Reiki ~ Archangel Raphael: A beautiful new stream of energy channelled to help ease all sleep related problems including; insomnia, nightmares, night terrors, waking early, disturbed sleep, restless legs, assisting newborn babies into a regular sleep pattern. This energy combines the energy of Archangel Raphael with powerful a Kabbalah symbol. These can either be used alone or together to help promote a natural deep refreshing healing sleep. Ideal for all ages. Tikun Hakklali Shakti: Tikun Hakklali Shakti is spiritual healing force that is very effective to repair and restore us in many levels : Physical , energetic, emotional, mental and spiritual, it helps us to restore our lost spiritual light , spiritual light is light of our spirit , the light that we have all but it affected with many things and became dim , this is the light that encourage us to see our true path to perfection , this is the light of hope that encourage peoples to walk in their path to perfection and don’t stop in the middle of path. It helps us to become more in harmony with universe, all that is. There are 8 powerful attunements in this course. Virus Inhibitor Field: Purpose: To restrict virus replication and thus reduce the possible damage within a physical body. Re-activate the Virus Inhibitor Field every 36 hours for maximum benefit. This is an energy field gifted to us by Source to reduce the harmful effects viruses can wreak within physical bodies. Less replication gives our own immune system a better opportunity to fight the virus and either eliminate it or keep its effects minimized. The Virus Inhibitor Field is as a being within a symphony of Healthy Life Sustaining and Supporting sound vibration constantly. An energy field that feels so wonderful, that you barely know it is there, for it is natural to be within. The Virus Inhibitor Field is especially useful for health care workers who are routinely exposed to viruses through various forms of accident and airborne contact. Weight Loss Reiki: This system was created to safely suppress the appetite to aid weight loss. This system will help prevent you/recipients from snacking between meals. It's important NOT to skip meals, but most of the problem tends to be snacking between meals. This system is pure energetic connection with no instructions so previous knowledge of energy healing is essential.